Whether it’s racing the Baja 1000, trail riding in the desert, or hunting and fishing in the high country, nobody wants to deal with a flat tire. If you take your UTV farther than walking distance from the truck, you better be prepared. In the not-so-distant past, this meant carrying a spare, a jack and tools. 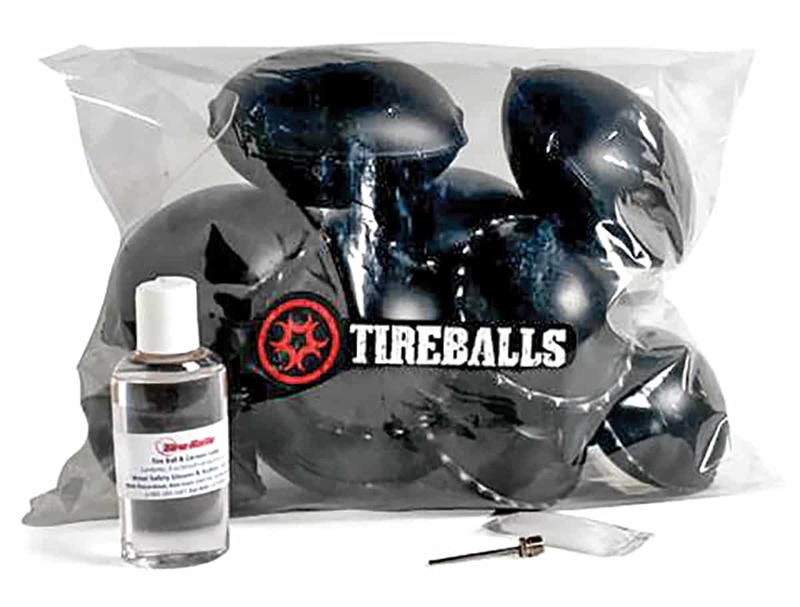 Nowadays, you can leave all that in the truck with the help of these ingenious run-flat tire or puncture-resistant inflation systems. Options range from 15 bucks a tire for sealant to $300 a tire for Balls or Blocks. Find out what’s right for your situation and quit worrying about flats forever. 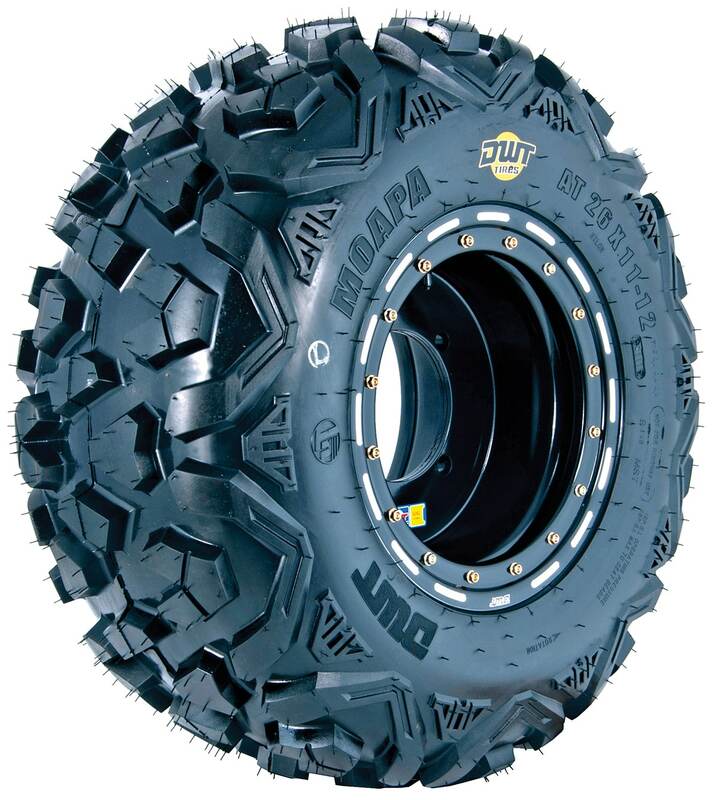 Construction: The Moapa utility tire is made with comparatively lightweight bias-ply construction for improved acceleration that’s easy on the motor. Reason for being: Engineered for a stable ride with increased traction, the Moapa is the OEM choice for military applications. Worth knowing: DWT run-flats are proven to operate at 0 PSI for 50 miles at 40 mph. 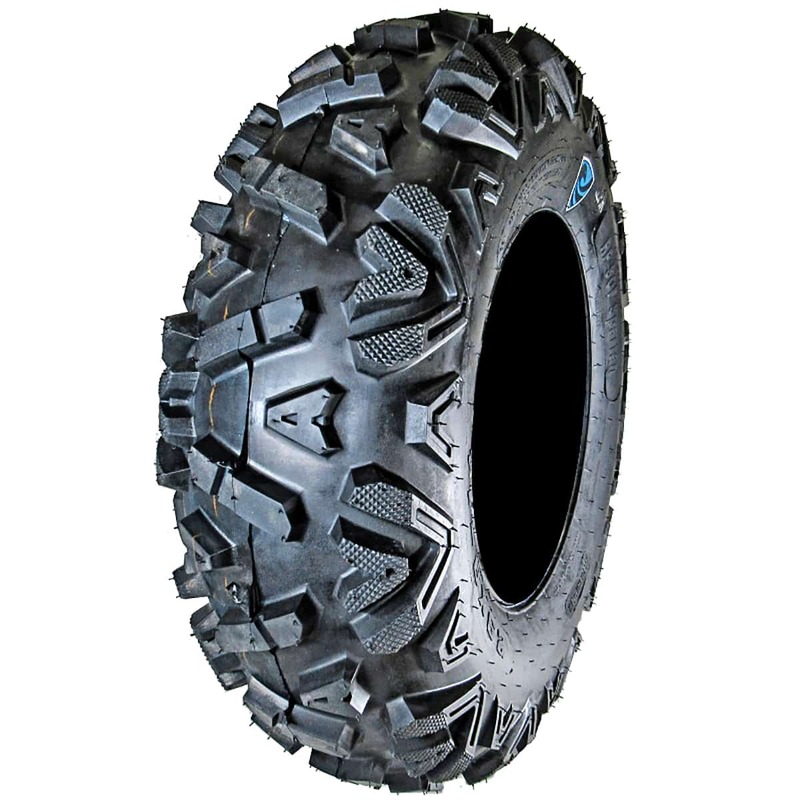 Construction: The Moja-V tires are built for excellent handling, traction and tread life on hardpack surfaces like pavement and trails. Reason for being: The run-flat Moja-V is 12-ply, allowing trail riders and racers to leave the extra weight and expense of a spare at home. The tight wraparound tread design gives the Moja-V great surface area and extended wear characteristics. Worth knowing: DWT doesn’t believe in DOT approval because conforming to 70-mph tests means the carcass is too hard for proper off-road handling. Construction: Kevlar-belted for run-flat performance and sidewall reinforcement. Reason for being: Designed to carry increased loads with optimal puncture resistance and run-flat ability. Sizes: 25×8-12, 25×10-12, 26×10-12, 27x9x12, 27×11-12. 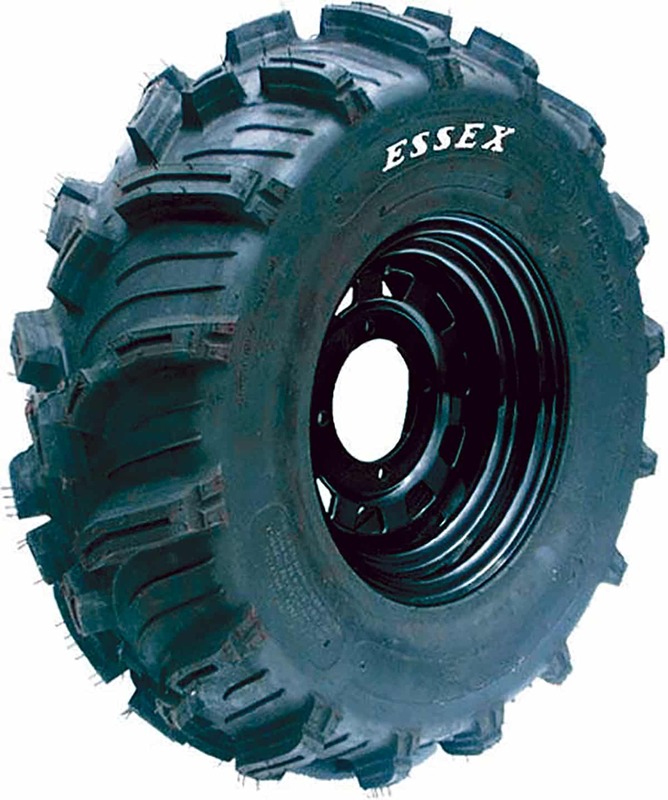 Worth knowing: Rated at 1190 pounds per tire. Construction: Kevlar-belted with reinforced sidewall and a bi-directional tread for a smooth ride, both on- and off-road. Reason for being: Designed with a high percentage of tread on the ground to outperform and outlast most of the tires on the market, run-flat technology allows you to leave the spare at home, saving space and weight. Worth knowing: The Hawk requires a low 12-psi inflation for excellent handling and grip. Its 1 1/8-inch lugs will eat up any terrain while running fairly smooth on hard surfaces. 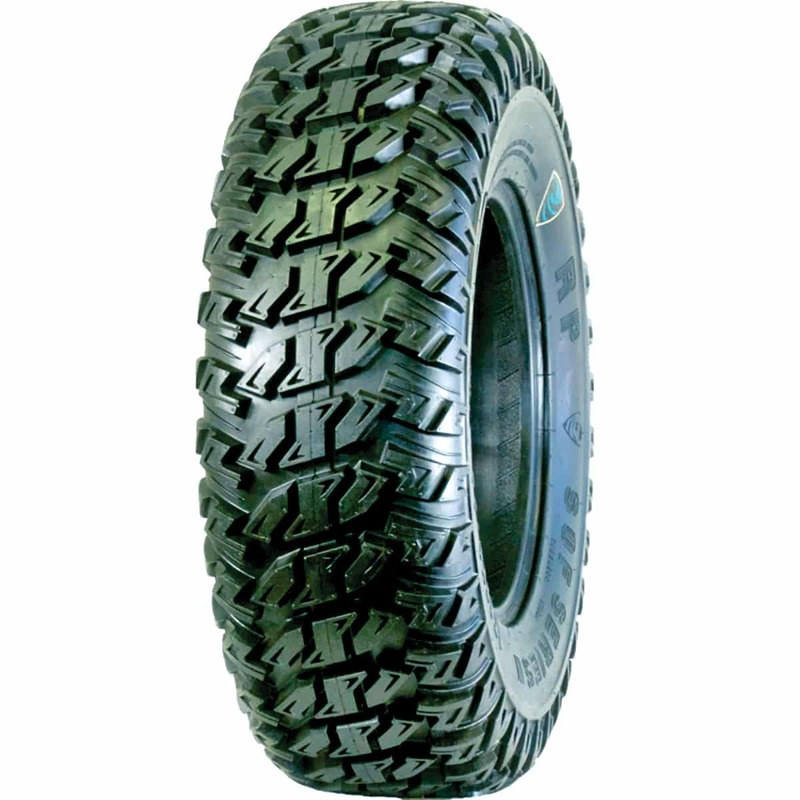 Construction: Bias-ply construction with multi-directional tread similar to a Maxxis Bighorn with run-flat capability. Specifically designed casing for a stable ride and puncture resistance. Rubber compound is said to last 10 times longer than a typical stock tire. Reason for being: Long-lasting, super-tough tire that’s authorized and trusted by the U.S. military. Worth knowing: Load rated to carry weight of today’s UTVs without air. Proven by logging over 600 miles on a set without air. Construction: Bias-ply construction with multi-directional tread that is designed to outlast the competition in nearly any condition. Reason for being: Designed and developed with the U.S. military with an incredible 1200-pound load rating and amazing run-flat capability. 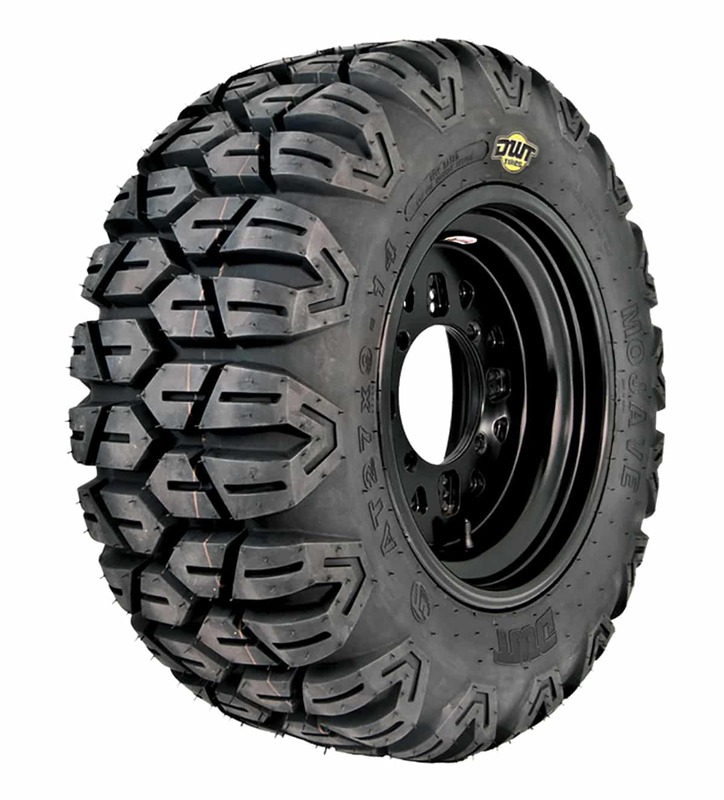 Worth knowing: Run-flat-proven to a 50-mile radius at 40 mph with a 450-pound load per tire. 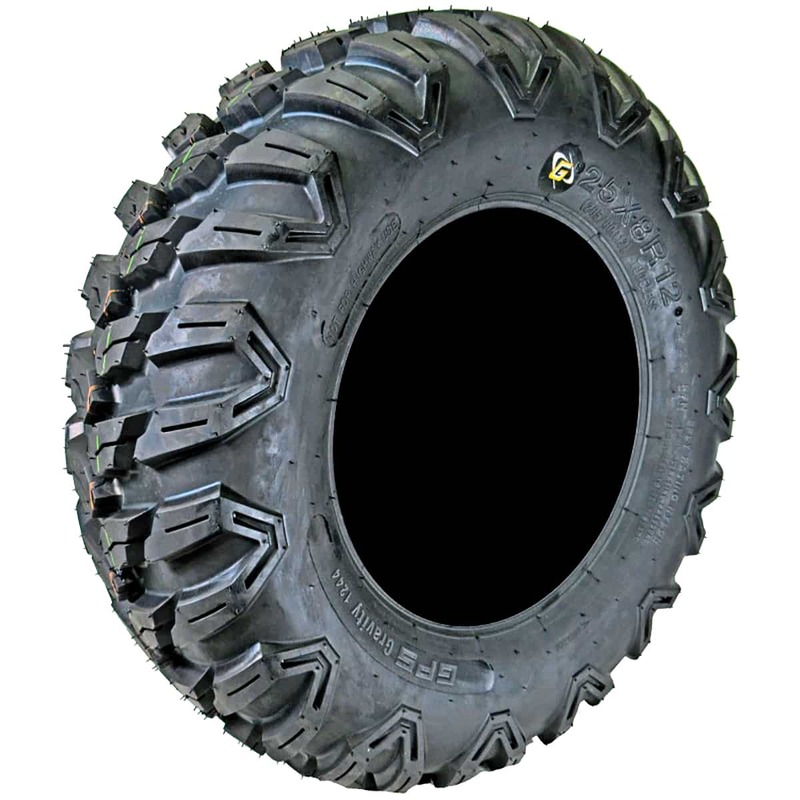 Construction: The Gravity tire uses radial construction with Puncture Proof Material (PPM) added to the sidewalls for extreme durability. Reason for being: Designed to excel in medium-to-hard terrain with excellent durability and great traction. Worth knowing: The Gravity 845 is not a true run-flat, but uses its PPM material to virtually eliminate punctures. Product type: High-performance inflation system using a multi-cell configuration for UTV, ATV and motorcycles, as well as light truck, commercial and military applications. 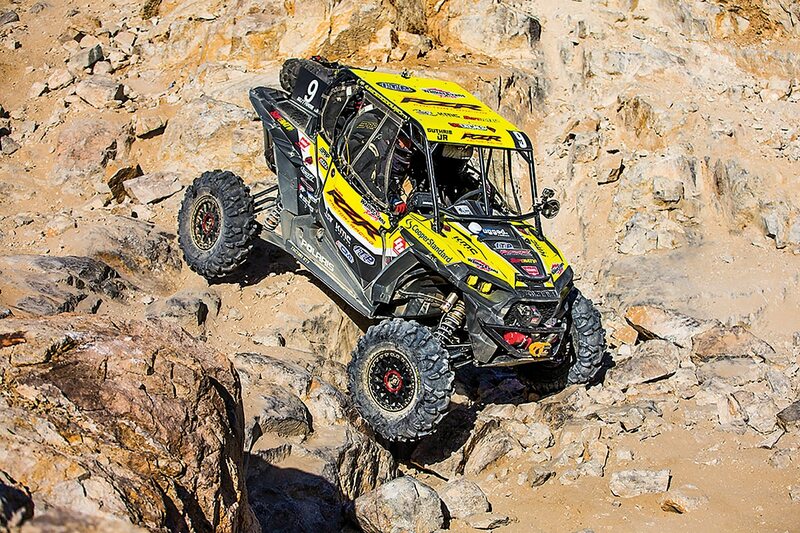 Sizing ranges from a mini-bike tire to a 42-inch Ultra-4 extreme rock-crawling tire. 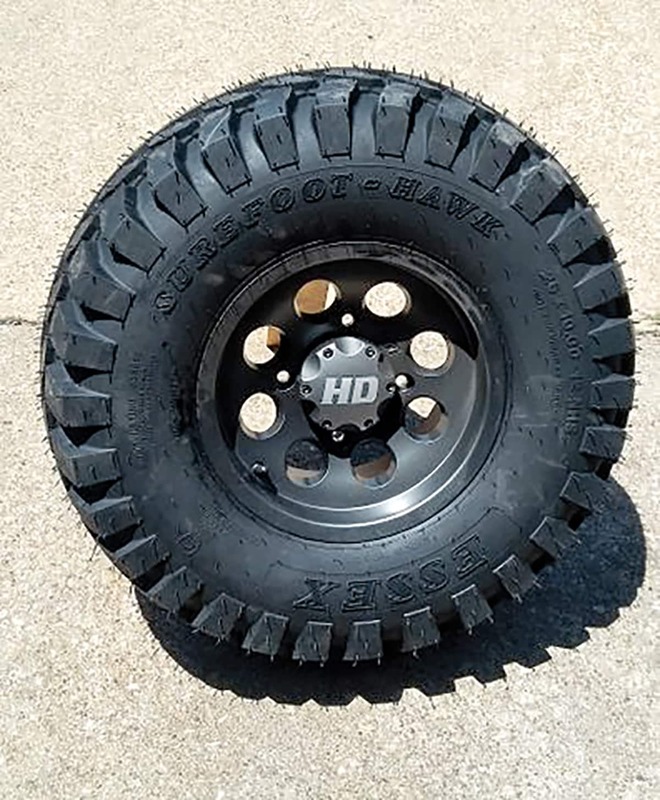 Company claims: TireBalls is making a major push to dominate in BITD and other types of desert racing with bigger UTV tires. The company is seeing major success with special-op military vehicles, and international motorcycle racing has exploded as well. Worth knowing: This is a tunable system for ride quality and tire feel from 5 psi to 30 psi. Tunability allows for different flotation and traction characteristics for different terrain and conditions. TireBalls sponsors and works directly with prominent UTV racers such as Mitch Guthrie Jr., Marc Burnett, Team LSR, Black Hills UTV, Rhys Millen and the Matlocks. Product type: TireBlocks are an innovative, patented, run-flat insert that has been engineered to prevent flat tires in the toughest terrain without excessive weight or hassle. Company claims: TireBlocks claims to be hassle-free in any situation, from racing to recreation to AG and military applications—pretty much anywhere that eliminating flat tires will better your day. Sizes/prices: 25×8-12 to 32×10-15 and pretty much everything in between. $155–$295 per tire. Worth knowing: Racers like Beau Baron, Adam McGill, Nic Granlund and Davie Haagsma all trust TireBlocks to get them to the finish line. 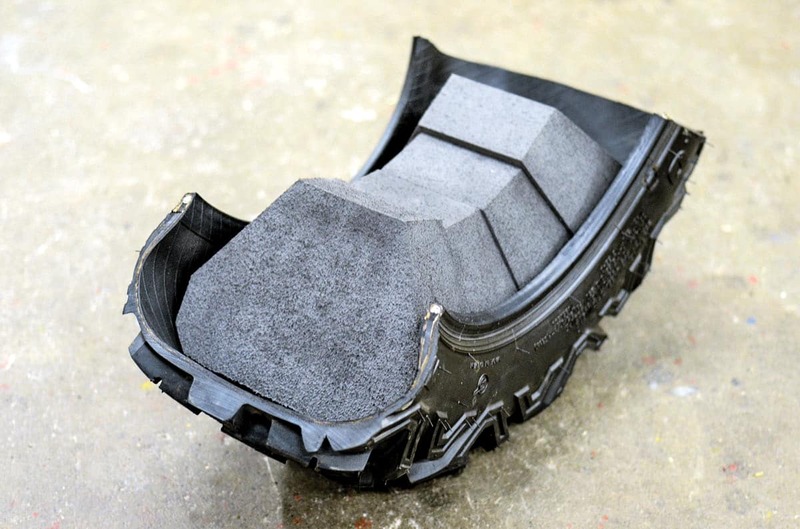 The hand-cut, high-density foam blocks are incredibly lightweight and require no air for the tire to keep its shape. Product type: A gel-type, biodegradable, water-soluble tire sealant. 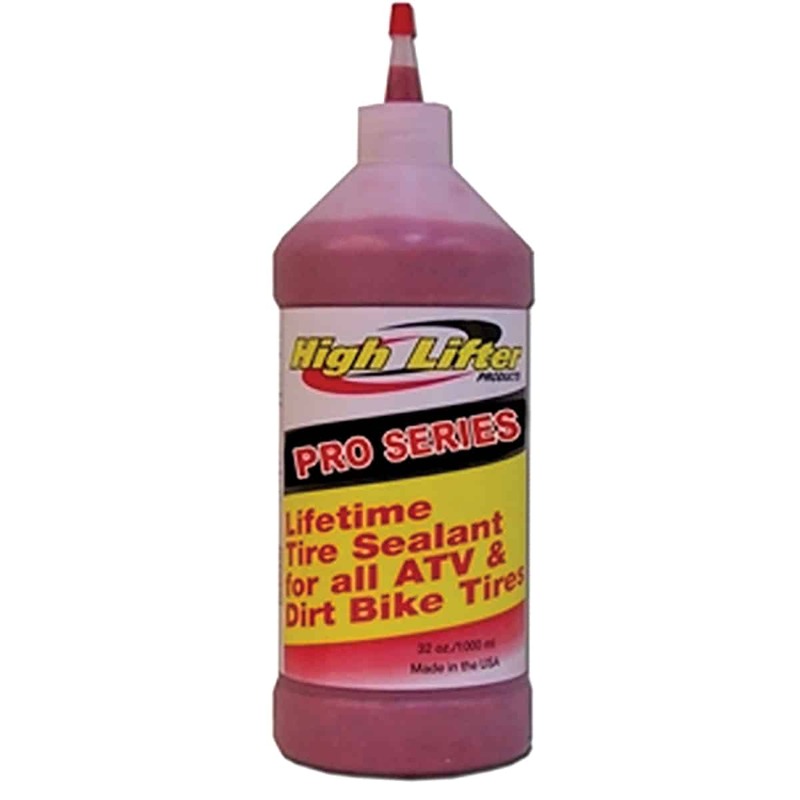 Company claims: High Lifter claims its Pro Series sealant will seal punctures up to 1/2 inch in the tread and 1/4 inch in the sidewall, permanently preventing 90–95 percent of common tire failures. Unlike many sealants, Pro Series sealant will not freeze, harden or clog valve stems. It also won’t rust steel wheels or corrode aluminum. Sizes/prices: A 32-ounce bottle is $16.95. A 5-gallon tub sells for $285. Worth knowing: Made proudly in the USA. Product type: Environmentally benign, water-soluble, gel-type tire sealant that works for the life of the tire. 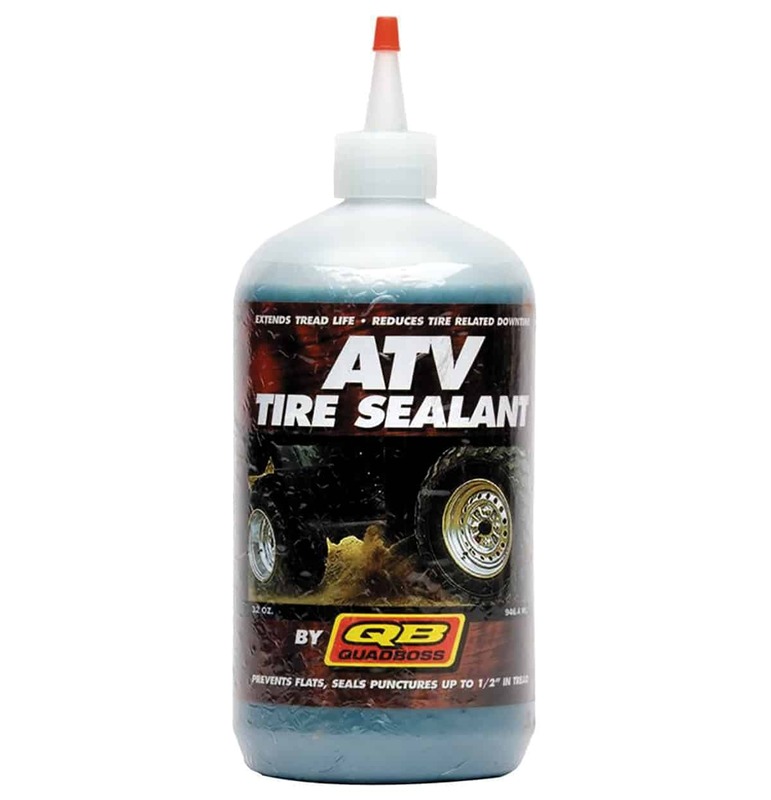 Company claims: Quadboss sealant seals up to 1/2-inch punctures in the tread and 1/4-inch punctures in the sidewall. It will even stop bead leaks and pinhole leaks in rims. Sizes/prices: A 16-ounce bottle is $9.95. A 32-ounce bottle is $16.95. A 1-gallon container is $63.95. A 5-gallon pail is $214.95, and a 55-gallon drum is $2499.95. Worth knowing: Made in the USA. Not recommended for extreme, high-speed, competitive applications. Product type: A blend of fibers, binders and proprietary congealing agents combine to create Fibro-Seal technology, a fluorescent lime green gel. 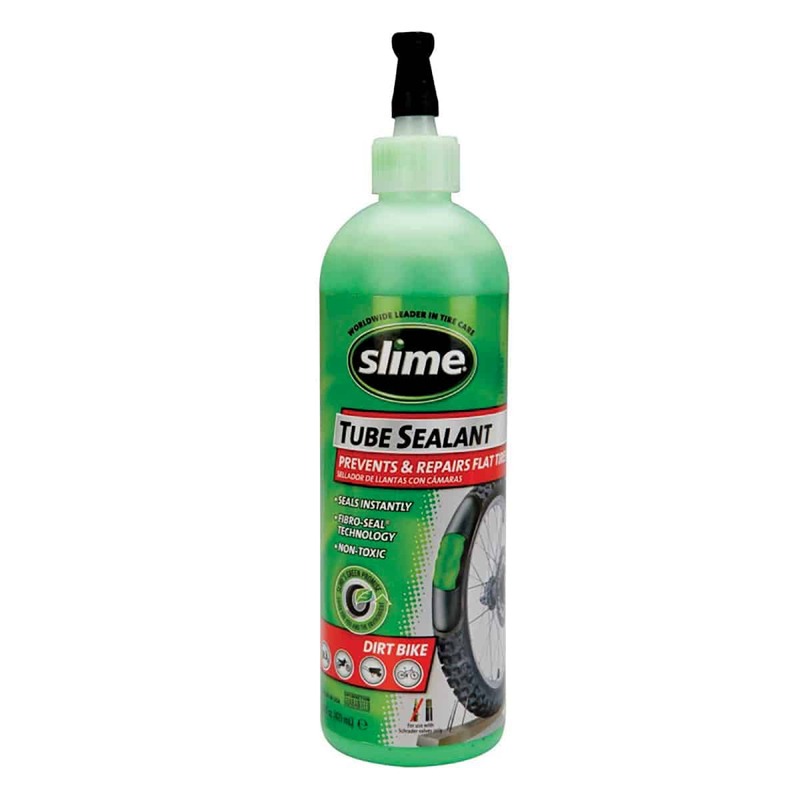 Company claims: Instantly seals up to 1/4-inch punctures in tubeless tires. It’s non-corrosive and non-flammable. Sizes/prices: A 24-ounce bottle of ATV/Mower Slime is $9.34. A 32-ounce value-size bottle is $11.89. One gallon is $30.59. One gallon of Slime Pro is $49.95. Worth knowing: Slime is recommended for up to two years of continuous protection. Effective from freezing at -35 degrees Fahrenheit to a separation point of 182 degrees.